Winter comes in two flavors in my neck of the woods: clear and cold or cloudy and wet. Gore's Fusion Tool is the right bit of kit for that first kind of winter day. Gore sandwiches a layer of their WINDSTOPPER® membrane between the inner and outer layers. Egregrious use of upper case notwithstanding, the stuff works and works damn well. We've been treated with a month of sub-freezing temperatures—the kind of days when you walk out the door and notice that the dog's water bowl is frozen solid…yet again—and this thing has kept me toasty the whole time. And I'm not just tossing out that adjective willy nilly—this thing is crazy warm. My nose feels like it's going to fall off and my toes cease to exist within five minutes of pushing off for my first pedal stroke, but, thanks to the Fusion Tool, my torso might as well be sunning itself on a beach in Jamaica. 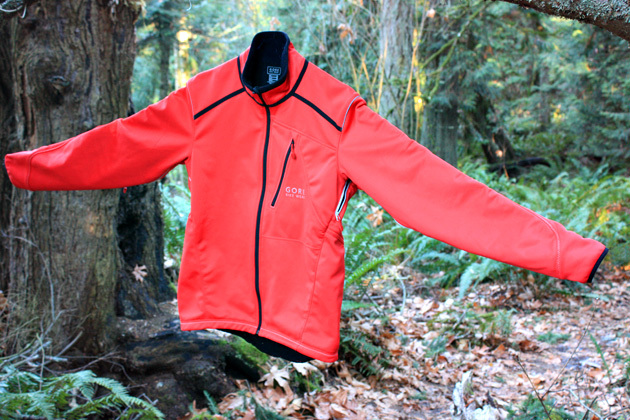 Despite the slim-fit styling, Gore’s Fusion Tool jacket sports a ton of storage space, including three zippered pockets. Gore touts this as a breatheable soft shell and that's sort of true, but I find myself running short sleeve jerseys under this thing with the pit zips wide open, even when the mercury is in the low 20s and the wind is howling. Fortunately, the Fusion Tool features a soft, brushed interior, which makes it a good deal more comfortable than your average jacket. The Fusion Tool has a degree of water resistance to it. Light rain and snow flurries don't pose a problem, but this is not what I reach for when the clouds return and the heavens unleash Old Testament-style rains. Really wet weather calls for a hardshell jacket. There are limits to just how much water a soft-shell jacket is going to shed. Simple as that. Gore jackets are never inexpensive, but they are built to last and are loaded with thoughtful details. To that end, the Fusion Tool features plenty of reflective piping, a comfortable, fleece-lined collar and pull-tabs for the zippers (easy to operate with numb, gloved hands). 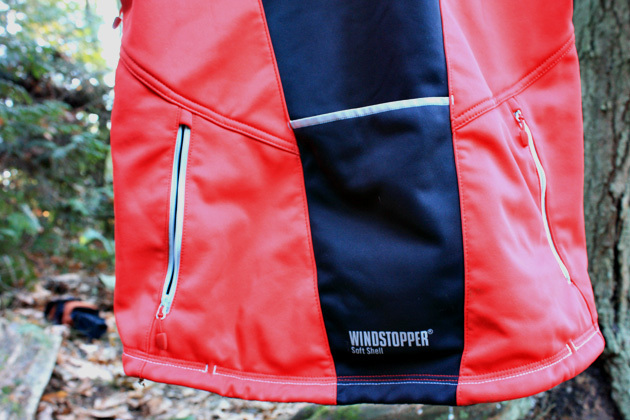 Despite the slim-fit styling, the jacket sports a whole lot of storage space, including three zippered pockets. If it’s icy, miserable and the wind just won’t let up, the Fusion Tool is the right piece of kit. Now, if only my hands, nose, ears and feet were as warm as my torso….